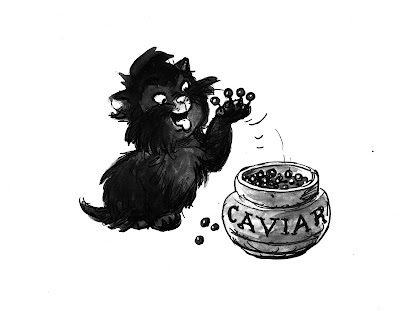 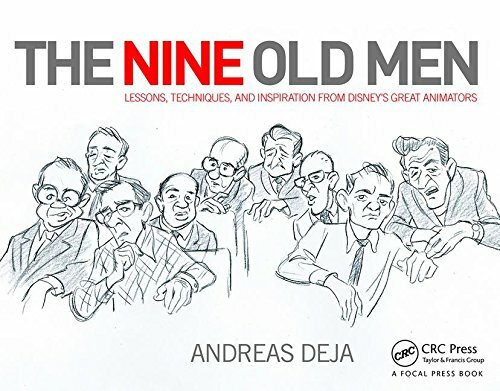 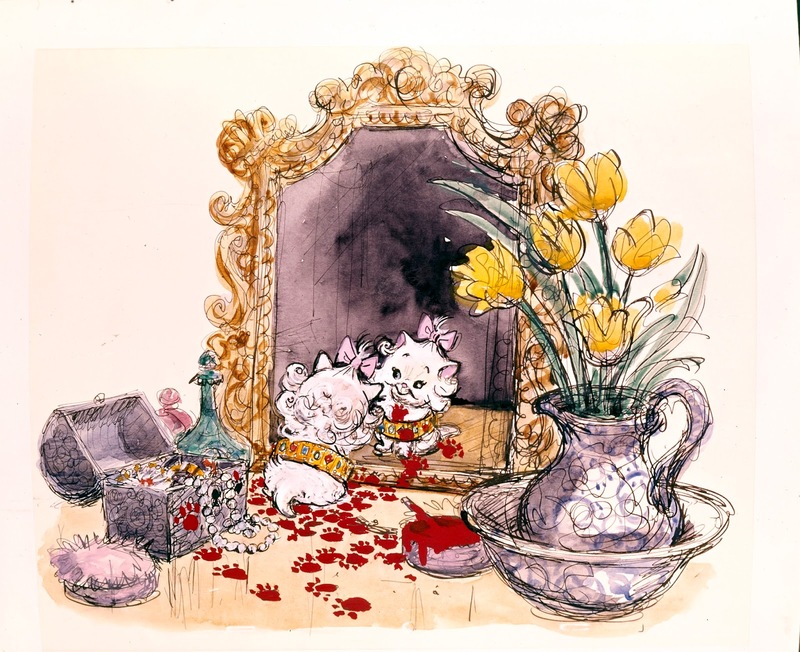 I really like Ken Anderson's Vis Dev work for The Aristocats. 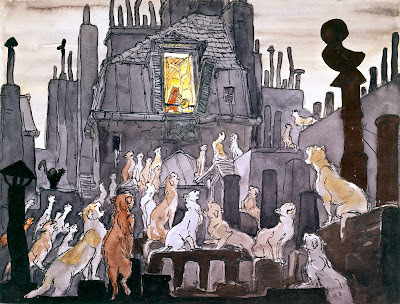 Frank Thomas felt that Ken's work lost strength after his stroke in the early 1960s, but to me his art certainly never lost any charm. Just look at this sweat color gag sketch featuring Marie. 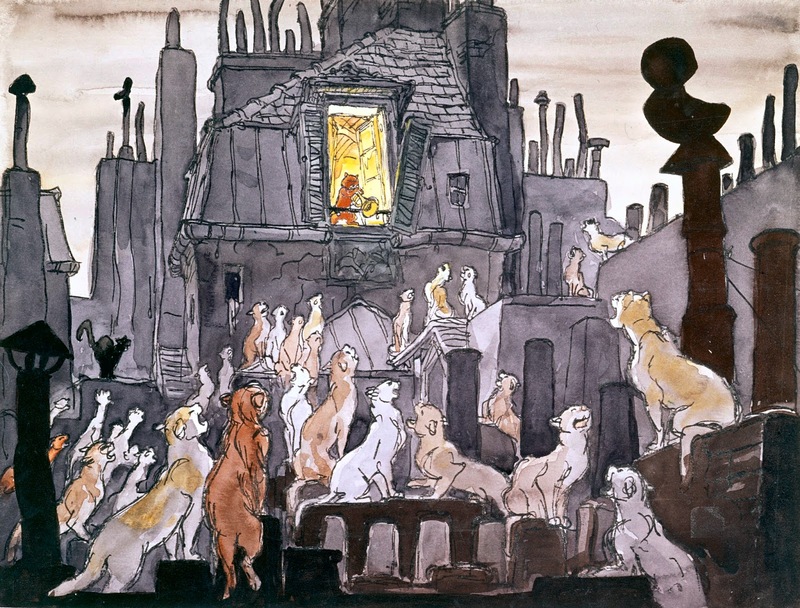 I don't know who the artist is behind this sketch, but I do love the atmosphere and staging. A couple of Anderson gag drawings showing that the kittens are spoiled and have the run of the house. 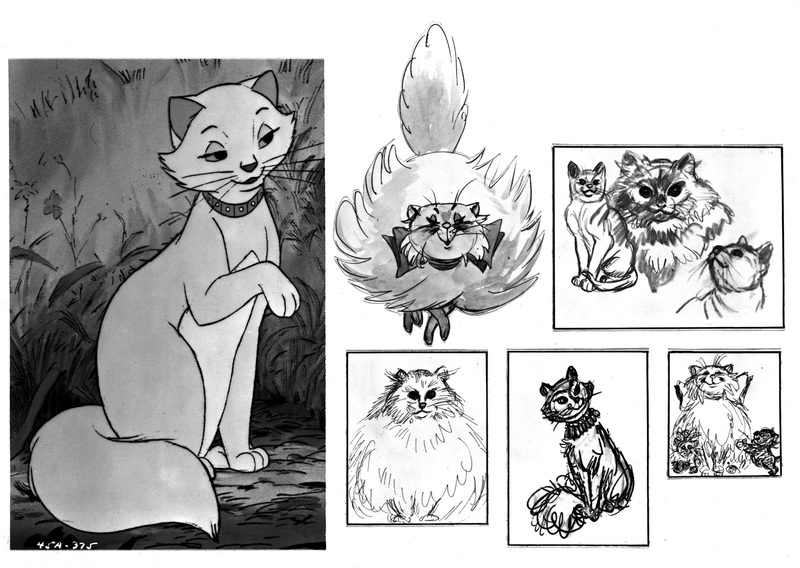 Development art by various artists for Duchesse, who was voiced by Eva Gabor. 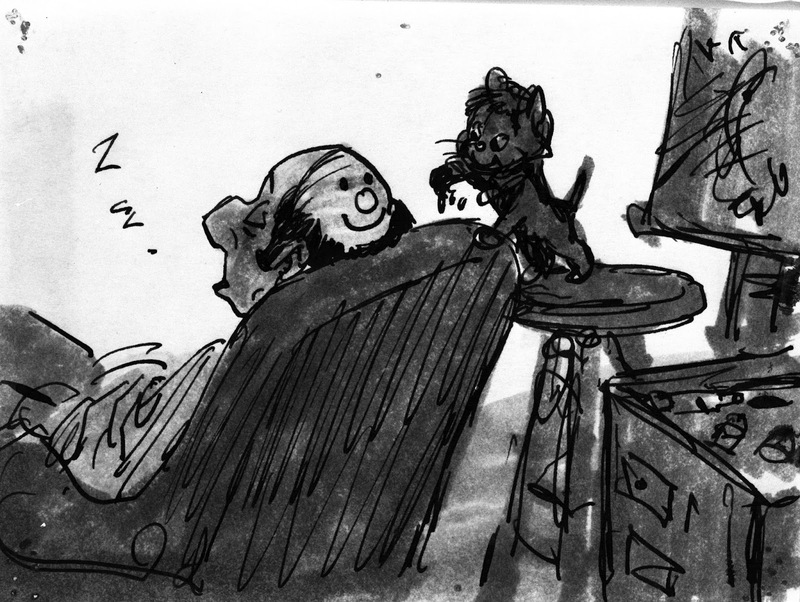 Madame Bonfamille, animated by Milt Kahl, is a favorite of mine. She is a realistic, straight character, brought to life by Milt Kahl with extraordinary nuanced performances and drawn absolutely beautifully. 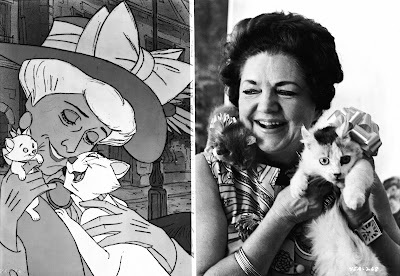 The character was voiced by British actress Hermione Baddeley, who had played a maid in Mary Poppins.